You will find that during this High Holiday season – and extending through Sukkot – my postings will be less frequent. I hope that all who celebrated Rosh Hashana found it meaningful and joyful. Besides being the High Holiday season, this is also the time of year when a new session of the UN General Assembly starts (hardly to be compared in one breath!). This means – aren’t we lucky? – that various heads of state and assorted other persons address the GA.
Last Wednesday (which was the eve of Rosh Hashana), President Obama spoke. Ben Shapiro, a skilled and perceptive analyst – as well as a Harvard-trained lawyer – has written a piece on that speech that summarizes the important points neatly. Raymond Ibrahim: Are Islamic State Atrocities the Product of 'Grievances'? Islamic State Atrocities: Products of 'Grievances'? While many have rightfully criticized U.S. President Obama's recent assertion that the Islamic State "is not Islamic," some of his other equally curious but more subtle comments pronounced in the same speech have been largely ignored. Consider the president's invocation of the "grievances" meme to explain the Islamic State's success: "At this moment the greatest threats come from the Middle East and North Africa, where radical groups exploit grievances for their own gain. 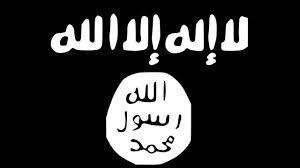 And one of those groups is ISIL—which calls itself the Islamic State." Obama's logic, of course, is fortified by an entire apparatus of professional apologists who make the same claim. Thus Georgetown professor John Esposito—whose apologetics sometimes morph into boldfaced lies—also recentlydeclared that "The "primary drivers [for the Islamic State's violence] are to be found elsewhere," that is, not in Islam but in a "long list of grievances." The news appeared recently in several media sources, that major think tanks in Washington DC are being funded by foreign governments. This is huge. But you may have missed it. “The agreement signed last year by the Norway Ministry of Foreign Affairs was explicit: For $5 million, Norway’s partner in Washington would push top officials at the White House, at the Treasury Department and in Congress to double spending on a United States foreign aid program. “But the recipient of the cash was not one of the many Beltway lobbying firms that work every year on behalf of foreign governments. “It was the Center for Global Development, a nonprofit research organization, or think tank, one of many such groups in Washington that lawmakers, government officials and the news media have long relied on to provide independent policy analysis and scholarship. Arlene Kushner: On The UN -- After Failing in Syria, It Will Guarantee Success in Gaza! “Syrian rebels linked to Al-Qaeda have seized UN weapons, uniforms and vehicles from peacekeepers in the Golan and set up a ‘safe zone’ to wage attacks, the Syrian ambassador said Tuesday. “The United Nations on Monday was forced to pull back hundreds of peacekeepers to the Israeli-occupied sector of the Golan (sic) after Syrian rebels advanced on their positions. 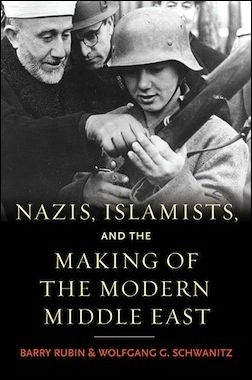 Review of Barry Rubin's "Nazis, Islamists, and the Making of the Modern Middle East"
With Islamist groups taking advantage of uprisings across the Middle East, notably in Egypt, where the Muslim Brotherhood succeeded for a time in gaining power and is still widely viewed as the democratically elected government of Egypt, the publication of this richly researched book, a joint production of two leading Middle East scholars, could not be timelier. While many analysts ascribe the so-called "Arab Spring" to a yearning for democracy, Rubin and Schwanitz remind us of a deep and abiding connection between radical Islamism and imperial, then later, Nazi Germany. It was Kaiser Wilhelm II who first set the template in his cynical World War I strategy of fomenting jihad among Muslim subjects in British, French, and Russian territories in the Near East and North Africa. One side-effect of this strategy was German complicity in the Armenian massacres, which could well have served as a model for Hitler's treatment of the Jews. ISIS - Since When Are US Politicians So Expert On Who Is and Isn't Islamic? 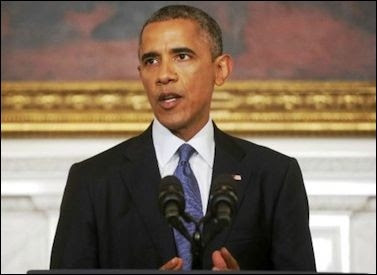 In a televised address this evening, President Barack Obama outlined his ideas on how to defeat the Islamic State. Along the way, he declared the organization variously known as ISIS or ISIL to be "not Islamic." In making this preposterous claim, Obama joins his two immediate predecessors in pronouncing on what is not Islamic. Bill Clinton called the Taliban treatment of women and children "a terrible perversion of Islam." George W. Bush deemed that 9/11 and other acts of violence against innocents "violate the fundamental tenets of the Islamic faith." Word magic permits Obama to turn ISIS into a "not Islamic" organization. None of the three has any basis for such assertions. These are particularly tough times for Israel (and for Jews more broadly). The situation demands steady nerves and absolute determination to pursue our course with conviction. Is is difficult, indeed, not to be deflected by rage, which enervates, or to fall into depression, the flip side of that rage. The world, which has turned upside down, is smoldering, and on the cusp of bursting into flames. But in the face of consummate and breathtaking evil, attacking Israel occupies the attention of the western world. For we have done something that is deemed terrible: we have allocated close to 1,000 acres in the Gush Etzion area as state land available for future housing. Why Does The Media Still Ignore Those Palestinians Killed And Maimed by Hamas? During Israel's Operation Protective Edge, we all saw the enthusiasm of the media in publishing photos of dead Gazans and using Hamas numbers to report on how many were killed. What about the side of the story that the media still has not reported on? 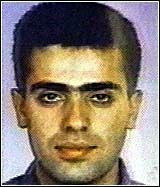 Khaled Abu Toameh notes Big Media Ignores Hamas's "Ugliest Crimes"
The Fatah leaders – members of the faction's Central Committee, a body dominated by supporters of Palestinian Authority [PA] President Mahmoud Abbas – accused Hamas militiamen of shooting dozens of their activists in the Gaza Strip in the legs and other parts of the body.